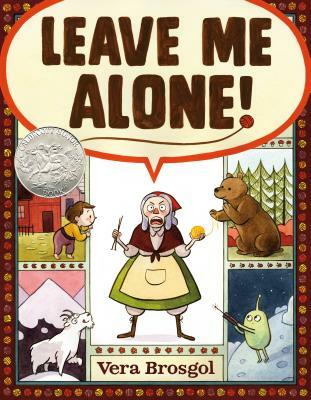 One day, a grandmother shouts, "LEAVE ME ALONE!" and leaves her tiny home and her very big family to journey to the moon and beyond to find peace and quiet to finish her knitting. Along the way, she encounters ravenous bears, obnoxious goats, and even hordes of aliens! But nothing stops grandma from accomplishing her goal—knitting sweaters for her many grandchildren to keep them warm and toasty for the coming winter.